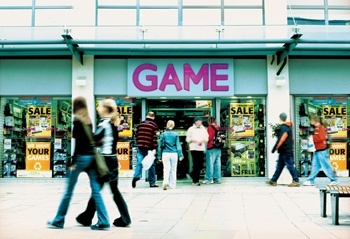 The pre-owned market is growing bigger and bigger, says retailer GAME's CEO. Publishers have been fretting over pre-owned sales for a while now, and more than one has started to try to encourage consumers to buy their games new, either by offering bonuses to those who do, or barring certain features to those who don't. But UK retailer GAME says that it's not quite as black and white as people buying either pre-owned or new games, and that it often finds that the former funds the latter. GAME CEO Ian Shepherd said that customers often trade in old games against the price of a new one, and that over the Holiday period, somewhere between fifty and sixty percent of all new games sales had been funded - at least in part - by someone trading in a game. He also said that GAME's pre-owned business had received a pretty significant boost from rival schemes from other retailers, as they had increased the profile of used games, as well as legitimatized the idea to a lot of people. "We've got a very strong competitive advantage over companies that can't do trade-in in the way that we can," he said. "We've built up a real body of expertise and experience over the last 15 to 20 years. That makes our pre-owned offer hard to replicate ... When you look on a store-by-store basis, at areas where our multi-outlet competitors have started doing trade-ins, if anything our own trade-in business has got bigger." Obviously, publishers would prefer it if every game that retailers sold was brand new, but that's clearly not going to happen any time soon. Publishers are justified in wanting to make money, but then again, so are retailers, and pre-owned sales have the highest margins. Hopefully, the tension between the two will ease as DLC becomes more common in the coming years, allowing publishers to generate a decent amount of revenue, even from players who bought pre-owned.